Dealing with the practical and social issues related to being a transgender person can be difficult enough without the extra problems caused by hair loss. If you're transitioning to live as a woman, thinning or absent hair can make it difficult to fit in your new role. For those transitioning to live as a man, you may have to confront hair loss problems for the first time. Either way, it's important to be prepared and understand your options. It is commonly believed that Male Pattern Baldness is caused by testosterone. In fact, it's actually caused by dihydrotestosterone, a hormone that is built out of testosterone by the actions of the 5-alpha reductase enzyme. In women, this enzyme is present only in very low levels, which is why women don't suffer from baldness as often as men. If you take hormones as part of a male to female transition, your 5-alpha reductase levels will fall, so any hair thinning caused by dihydrotestosterone will immediately slow. It is important to recognise, however, that you may still be susceptible to other conditions that cause Hair Loss. Increased oestrogen levels will not protect you against this. If you are taking testosterone as part of a female-to-male transition, your risk of hair loss will increase. This is because your body will go through the equivalent of the menopause and will start producing more 5-alpha reductase (a major reason why some women experience thinning hair as they age). There will also be more testosterone in your system for the enzyme to act on. If male relatives on the female side of your family are bald, the chances are that you will be, too, in time. Trans women coping with hair that is already thin or absent face the same problems as other women who suffer baldness, and it can help to realise that this isn't a marker of gender, even if it's popularly assumed to be. It can, however, be harder to deal with emotionally at a time when fitting in is all the more important. Most trans women with this problem Use Wigs to cover bald patches. If you can't afford a wig and you are receiving treatment on the NHS, they may be able to help you obtain one, so ask your GP or specialist (see our article NHS Help With Wigs for more information). You may be eligible for this assistance even in the early stages of transition. When you choose your first wig it can be tempting to go for a glamorous style, but remember that if you do this you may get a lot of attention you're not ready for. It's often a better idea to wear an attractive but fairly ordinary looking wig until you feel fully comfortable about your general presentation and other people's reaction to it. Glamour for special occasions can easily be added in other ways. Sadly, a common feature of assault on trans women is the theft of wigs, so if you feel you may be at risk in this way then it's a good idea to carry a spare wig or a scarf you can cover up with should you find yourself in trouble. Most men, as they get older, experience some hair loss, and this tends to be more marked than it is in women. It does, however, usually take place gradually. If you are a trans man undergoing early-stage hormonal treatment, there will be times when your testosterone levels are higher than that of the average man. This means that you may experience quite rapid hair loss. Most transsexual people say that they would rather put up with anything than have to live in their birth-assigned roles. 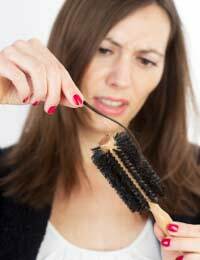 Sudden hair loss, however, is not easy for anyone. You shouldn't feel that it is inappropriate for you to be upset. Try to let friends and family members know how you feel. You should also be prepared for strong reactions from them, as they may find the loss of your hair one of the most emotionally difficult aspects of your transition to adjust to. Unfortunately, some medicines commonly used to treat hair loss cannot be used by trans men because of the hormonal side effects they have. If you are anxious to try such medicine, discuss it with your GP first, even if it's an over-the-counter product. How our hair looks is very important to how we feel about ourselves and how others treat us. For trans people who often face other problems in these areas, it can be a highly sensitive issue, but with the right approach you can make positive changes that reaffirm who you are. For more information on buying, styling and caring for a wig or hairpiece, go to our Wig Help and Advice section of this site.